Are you ready to turn stress and overwhelm into health and energy? Let’s be honest, 21st century living can be hard! There are more demands on our time and energy than ever before – it’s been said that we are seven times busier than our grandparents! We work while raising our children, learn while travelling, we are constantly connected to a buzz of noise via text, e-mail, social media and other gadgets…is it any wonder that sometimes it all gets too much? You struggle to keep your energy levels high? You get overwhelmed by your ‘to do’ list? You have difficulty sleeping, concentrating and staying healthy? You wish you could bounce out of bed, have an amazing day and be there for everyone who needs you? 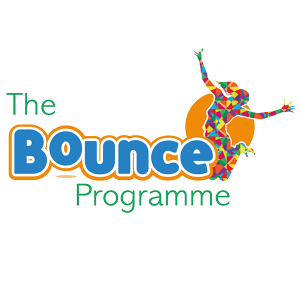 Discover Your Bounce Lifestyle was created for you! Our programme and events are designed as the perfect re-set button. You can take stock, sit back, take a breath and work out what a wonderful life would look like. A progressive course designed to provide an introduction into the four elements that underpin health and happiness. Easy exercises, interactive lessons and worksheets – all available online when you need them! 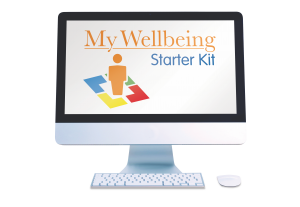 A six step, progressive course that expands on what's learned in the Starter Kit and acts as a firm foundation to maintaining a healthy and happy life. Available online to do at home, or can be supported through face-to-face by a member of the team or ambassador. Also included is a range of meditations to help you relax and sleep, plus access to our team if you have any questions whilst completing online. We know magic happens when you find your tribe! Join us for a life-changing day, hearing from experts in personal development and creating your plan as you go. At the end of the day the Bounce Team will work with you so that your plan is backed up with step by step actions to lead you to that ‘perfect for you’ life! Thank you! Your toolkit to tackle overwhelm is a gem. I'm sure many people recognise those symptoms! Drop us a line and we’ll help you get started on the road to happiness.